Update (8:09 p.m. EDT): U.S. attorneys operating in Boston have canceled a press conference they had announced for Wednesday evening. An FBI spokesman says the presser may be rescheduled for later in the night. BOSTON, Massachusetts — US investigators on Wednesday uncovered images of a suspect who may have planted the Boston marathon bombs that killed three people and maimed scores in a hail of shrapnel. The Boston Globe said a department store surveillance camera and private photographer may have caught a suspect planting one of the two bombs set off at the finish line of Monday’s marathon. Separate media reports indicated there were pictures of the suspect running away while other people slumped to the ground in the blast. 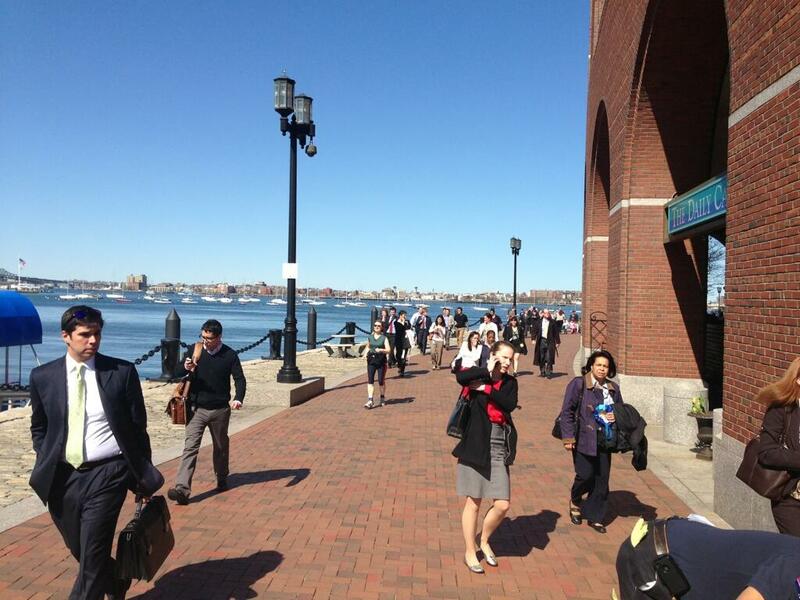 Update (3:42 p.m. EDT): The Boston courthouse has reportedly been cleared for public re-entry. Update (3:23 p.m. EDT): WCVB in Boston is now reporting that judges have been cleared to re-enter the courthouse. Update (3:12 p.m. EDT): Reuters reports that security officials have now cleared the Boston courthouse. A bomb threat was reportedly made to the courthouse. Update (3:03 p.m. EDT): Mark Knoller of CBS News: FBI reiterates: “Contrary to widespread reporting, there have been no arrests made in connection with the Boston Marathon attack. Update (2:20 p.m. EDT): A suspect has reportedly been arrested. CNN correspondent John King reported this afternoon that authorities have identified a suspect in the bombing of the Boston Marathon. On the afternoon of April 17, King reported that, “the description given to me was a dark skinned male.” It wasn’t clear whether or not police had anyone in custody. The identification came from surveillance video of the crowd recorded near the Lord & Taylor store along the race route and near where the second blast occurred. Authorities say they have video of the “dark skinned” man dropping a backpack near the store shortly before the explosion took place. The bombs, made of six-liter pressure cookers packed with nails and ball bearings, are reminiscent of those used in bombings in India. Boston Mayor Tom Menino also noted on Wednesday afternoon that the police are “very close” to identifying a suspect.